Over the month of February, the Canfield BHP Ethics Board put on their annual “Ethics Month,” a time to promote awareness and positive conversations about academic integrity and its application to the real world. Each week for the month of February, the board put on events and activities for students, ranging from Ethics-grams to a discussion with Brian Cruver, former employee of Enron. Canfield BHP sophomores Jessie Meek and Poonam Agarwal, co-chairs of the Ethics Board, recently shared their experience planning the events. Both Poonam and Jessie had personal interests in ethics coming into college. For Poonam, ethics in business was always important, even during her college search. Seeing that an Ethics Board existed was encouraging to her because she saw that ethics was a priority in the program. For Jessie, her childhood experience with sports where she often saw integrity sacrificed for the sake of winning, gave her a lifelong passion for advocating for ethics. 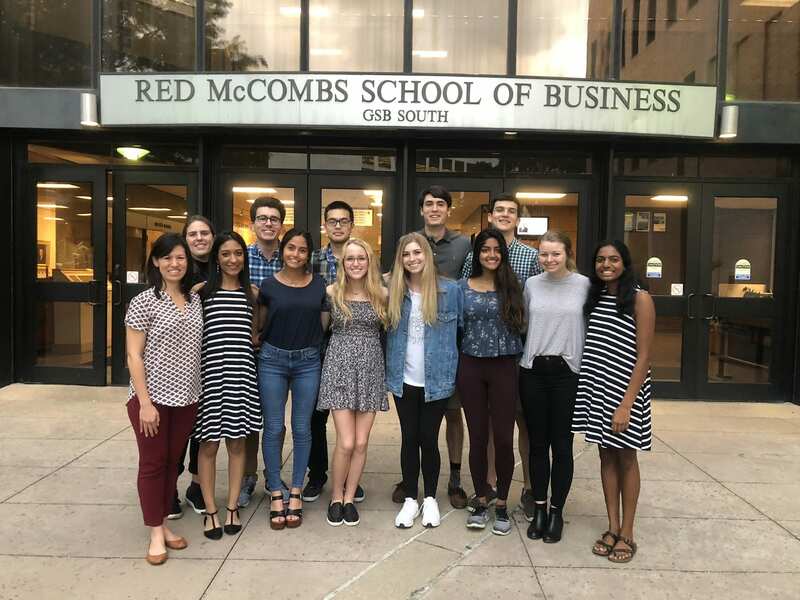 Both Jessie and Poonam joined the Ethics Board their freshman year, and their mission for the board is to foster positive, trusting relationships between both professors and students and students with other students. The goal for Ethics Month this year was to make ethics a more approachable conversation within the program. With this focus in mind, the Ethics Board planned several fun events and activities for Canfield BHP students with the underlying message of being kind, making good decisions, and encouraging others to make good decisions as well. Poonam and Jessie explained how each of their events worked toward this goal. For example, the goal of the Ethics-grams, cards with candy and positive messages that students could send to their peers, was to help foster a culture of uplifting and supporting each other as students, as opposed to a cutthroat or competitive culture. Another event, a movie night with Dr. Prentice, served as a comfortable and casual environment for students to discuss ethical dilemmas. The month ended with a speaker event featuring Brian Cruver, a McCombs MBA graduate who worked at Enron at the time of the scandal and wrote an account of his experience entitled “The Anatomy of Greed.” He shared the lessons he learned from his experience as well as how he has used these lessons to navigate his unique career path. According to Jessie, the event was particularly impactful because it showed students how ethics can be applied to the real world and the importance of the Ethics Board’s work to educate students before they enter the professional world. When asked about the most rewarding part about their experience, Poonam and Jessie both attested to their positive experience with their task team. The board is made up of Canfield BHP students across classes, who are all passionate about ethics in their community. Poonam and Jessie shared how inspired they were by the hard work and dedication put in by the team, and how proud they were to see all the work come to fruition with a successful month of events. They also acknowledged the help and support from their staff liaison, Steph, who helped make their experiences as co-chairs so positive. Thank you Poonam, Jessie, and the Ethics Board for a great Ethics Month! To learn more about our Ethics Board, visit their group page here.